Save 40% off Enjoy Life products with Gluten-free savers today! If you’re looking for a way to try some delicious gluten-free goodies at a discount, then head on over to Gluten-free saver today and save 40% of Enjoy Life’s Variety Pack of their BRAND NEW Plentils! This is a great way to try something new and save some cash while doing so. Here are some quick highlights of the deal, and you can click the image below to head on over to Gluten-free Saver and buy your deal. The unique recipe results in a protein-packed, crunchy experience that’s bursting with flavor. 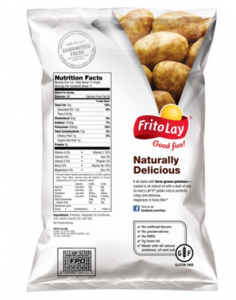 Plus, these great-tasting “better-for-you” chips contain 40% less fat than the average potato chip! 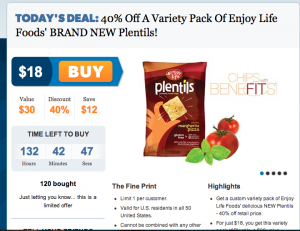 Plentils are free of the 8 most common allergens and are made in a dedicated gluten and nut-free facility, which means you can have the added confidence that you and your family can eat Enjoy Life products without worries of cross-contamination.